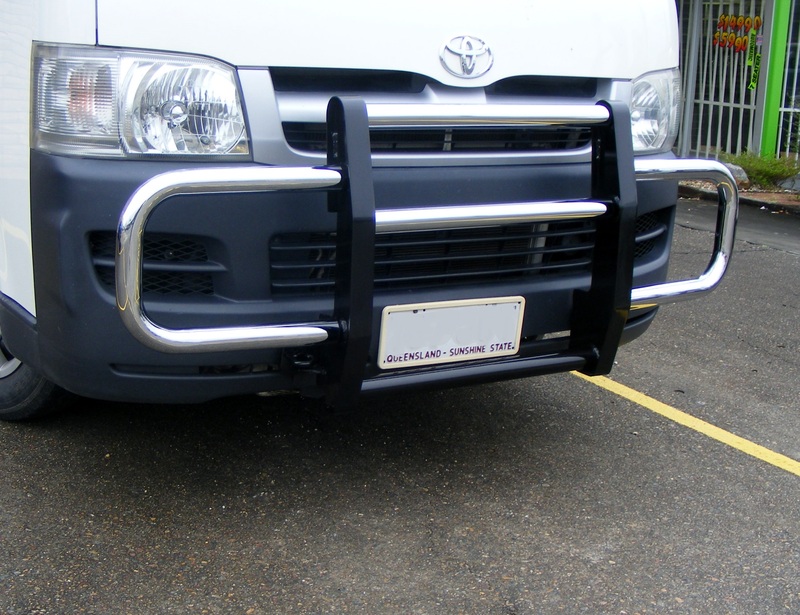 Inside or out, AVM fit a wide range of Front and Rear protection bars to suit your Sedan, Wagon, People mover, Ute, 4WD, Van or Bus. 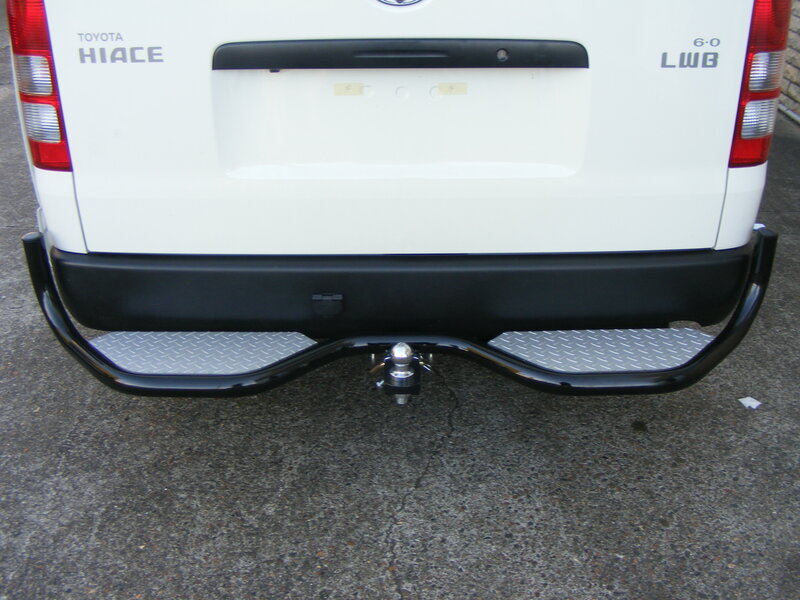 From a standard towbar or nudge bar to a full replacement front or rear bar you have the choice. Are a great lightweight option for having a ‘H’ frame mounted to the front of your vehicle to extend the carrying length of your roof bars or for fitting a set of driving lights to or simply for that extra little bit of protection. 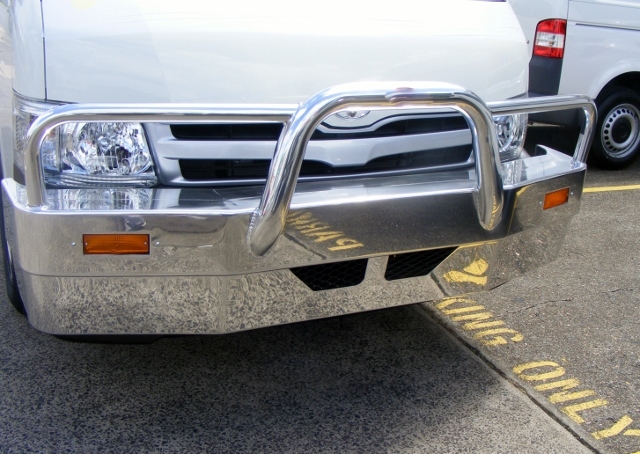 Add that money saving extra protection from the little scrapes and bumps that can happen in every day use to the front of your people mover, Ute, 4wd, Van or Bus with extra loops either side for headlight and indicator protection. 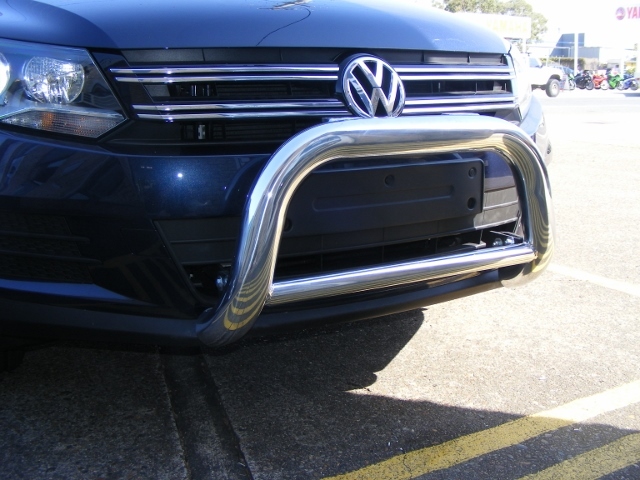 Are the top of the range bar that provides full protection of your front end. In either steel or alloy these bars offer far greater protection for the outback trips or the 4wding enthusiast that needs the option of winch compatibility. 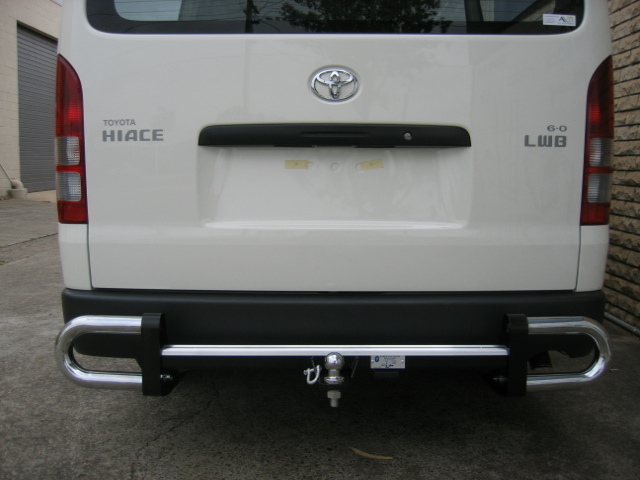 Are great for light duty towing and suit most vehicles. They are also able to accommodate bike racks, so now taking the family and the bikes away for a ride on the weekend is definitely an option. 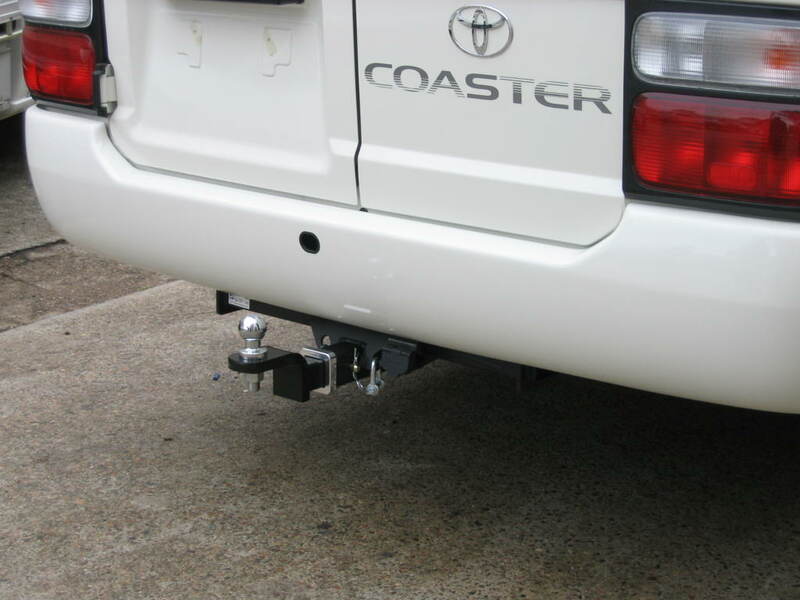 Have the largest towing capacity for your vehicle make with options to suit various models including lockable hitch pins, extension tongues and Weight Distribution bars. 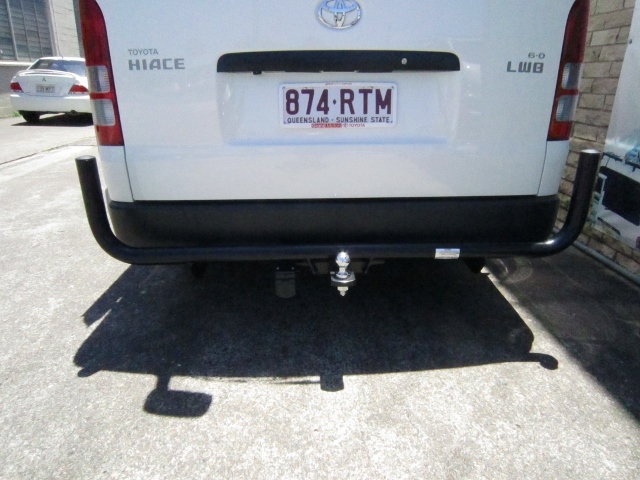 A must for towing your campervan or camper trailer. 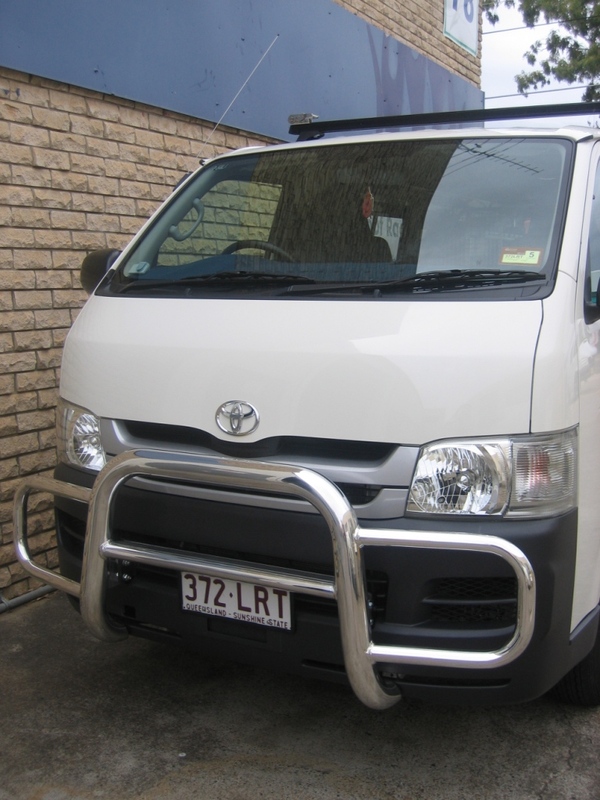 Suit People movers, Ute’s, Van’s and Buses and have various options depending on your needs. These bars can come as a rear protector bar only, with light or heavy duty towing, black or chrome ends or removable tongues. 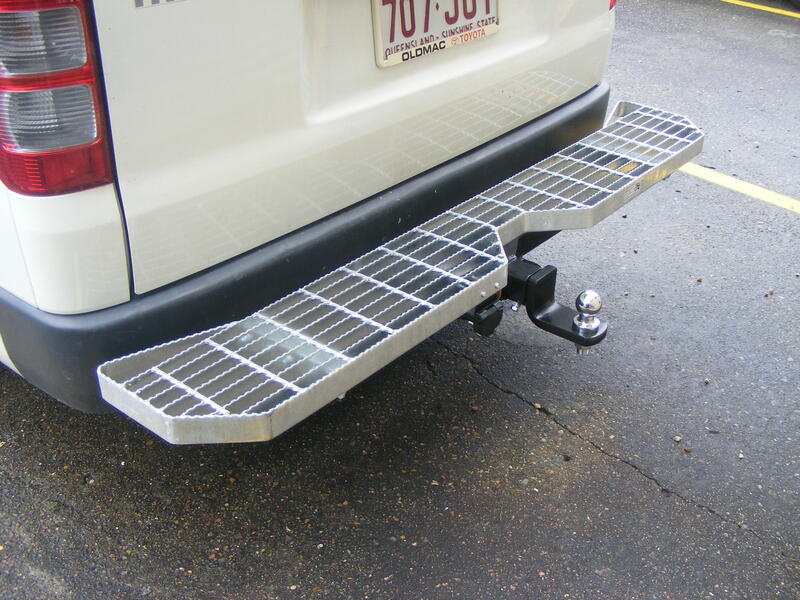 For the perfect safe and simply solution to reaching higher up or easier access to the items stored on you roof bars from the rear of your van, this 150mm wide step with the combination of a light or heavy duty towbar is ideal, as well as providing protection for the rear of your vehicle.